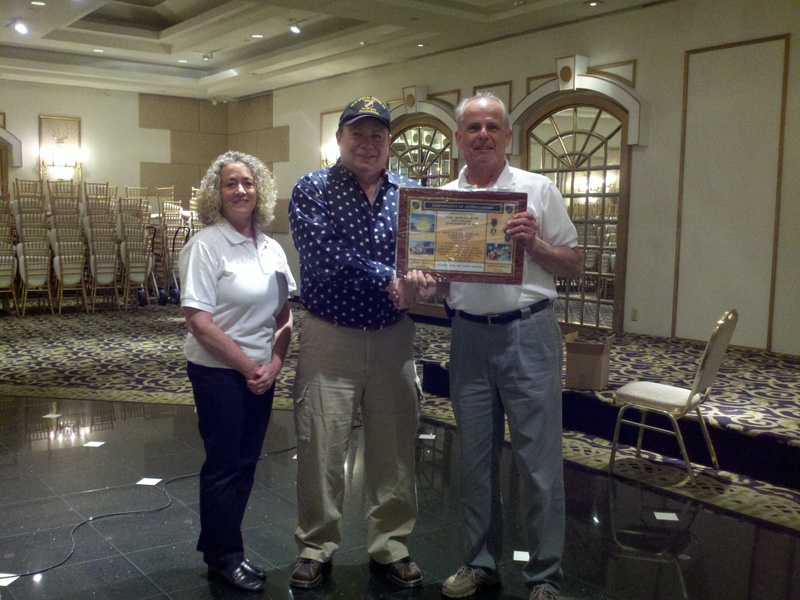 Rob and Edie English presenting Arthur Weintraub, Commander of the Elin-Unger Post 273 Jewish War Veterans of US with recognition of support plaque for their support of the 46th SFCA Wounded Warrior Program. Post 273 donated a generous $500 to Cruise III and an additional $300 for Cruise IV. A big tip of the Beret to Post 273 Jewish War Veterans of US.